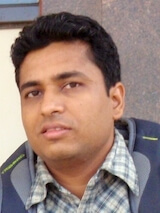 Shraddhesh Chaturvedi holds a degree in Integrated M. Sc. (5 years) in Physics from IIT Kanpur. He has extensively studied the Vedic philosophies over a decade and found their underlying wisdom to be far more valuable and powerful than anything else. These Vedic texts can practically address all the thought level problems or queries for anybody by moving them up on a higher plane of rationality. Not only this, these texts lead us to a realm of true knowledge which fills our life with bliss and endless hope. Through his work, he wants to share timeless wisdom of our glorious past in a succinct and meaningful way.